Annie Dillard is the author of ten books, including the Pulitzer Prize-winner Pilgrim at Tinker Creek, as well as An American Childhood, The Living, and Mornings Like This. She is a member of the Academy of Arts and Letters and has received fellowship grants from the John Simon Guggenheim Foundation and the National Endowment for the Arts. Born in 1945 in Pittsburgh, Dillard attended Hollins College in Virginia. After living for five years in the Pacific Northwest, she returned to the East Coast, where she lives with her family. Please enter your email address and click the Follow button to follow Annie Dillard! Here, in this compelling assembly of writings, Pulitzer Prize-winning author Annie Dillard explores the world of natural facts and human meanings. 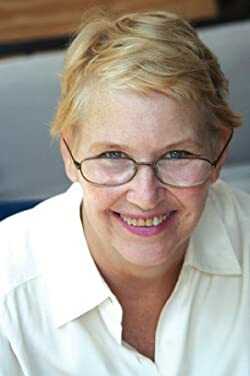 Annie Dillard has written eleven books, including the memoir of her parents, An American Childhood; the Northwest pioneer epic The Living; and the nonfiction narrative Pilgrim at Tinker Creek. A gregarious recluse, she is a member of the American Academy of Arts and Letters. Annie Dillard -- "one of the most distinctive voices in American letters today" ( Boston Globe ) -- collects her favorite selections from her own writings in this compact volume. A perfect introduction to one of America's most acclaimed and bestselling authors. In Mornings Like This, Annie Dillard extracts and rearranges sentences from old--and often odd--books, and composes ironic poems--some serious, some light--on the heartfelt themes of love, nature, nostalgia, and death. Clever, original, sometimes humorous, and often profound, this collection is sure to charm her fans, both old and new.